Proposed site for a landing field for Taal and Lemery in 1935. Image source: United States National Archive. The photograph above shows the town of Lemery in 1935. The picture was taken from an airplane flying out of Nichols Air Base (now Villamor Air Base) and has been downloaded from the United States National Archive. 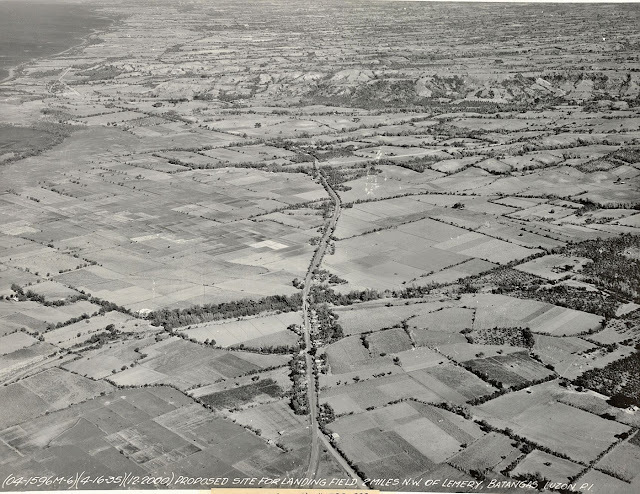 It was originally captioned “Proposed site for Landing Field, 2 miles NW of Lemery, Batangas, Luzon Island, P.I.” Batangas History is as yet unable to ascertain if, indeed, this airfield was ever built. Below is another shot of the proposed airfield taken from a different angle. This picture is, likewise, downloaded from the United States National Archive. 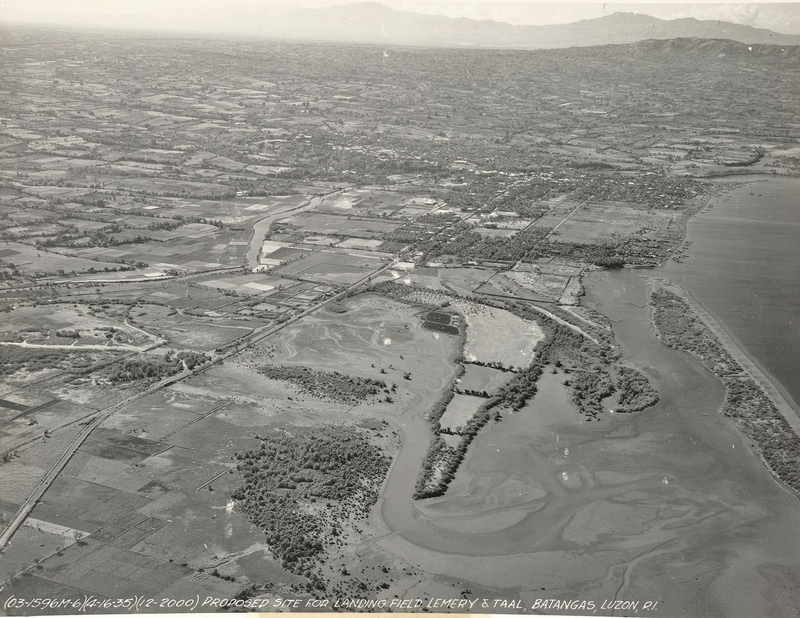 Another shot of the proposed airfield for Taal and Lemery in 1935. Image source: United States National Archive.